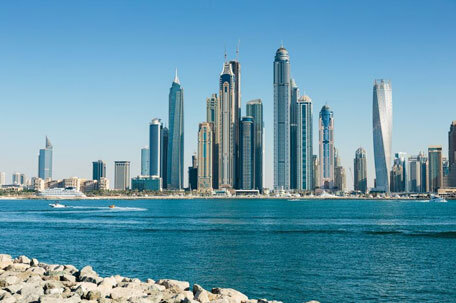 Dubai is the world’s second best city to drive in – thanks to its low congestion level and high road quality – according to a study conducted by kfzteile24, the largest online car parts retailer in Germany. Dusseldorf (Germany) holds the top spot, among the 100 cities surveyed. The study indicates that Dubai had a low congestion level (20%) and scored 8.24 in road quality, which has a direct effect on vehicle longevity and spurs driving delight. Zurich took the third position, followed by Tokyo (4th), Basel (5th) and Singapore (6th). 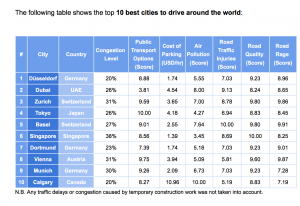 Dortmund, Vienna, Munich and Calgary were the other cities that ranked in the top 10.
kfzteile24 commissioned the study into the quality of driving internationally, not only to encourage cities to make necessary improvements to infrastructure, but to boost the development of civic values and education around the world. Criteria examined in the survey included average vehicle age, congestion levels, public transport options, average cost of parking, cost of fuel, average speeds, levels of air pollution, accidents and fatalities, road quality and the frequency/perception of road rage.